DEVENEY is excited to announce its newest class of Spring 2018 Associates, Patrick Bailey and Janie Gelfond, and welcome back Alison Hanle and Samantha Krupicka of the Fall 2017 class, now Senior Associates! We wanted to get to know them a little better, so we conducted interviews to learn about their favorite DEVENEY and NOLA experiences. First things first: What are your hometowns and job titles? What’s the best part about working at DEVENEY so far? PB: DEVENEY is keeping me busy with lots of creative work. There’s never a dull moment! JG: I love the independence and autonomy that comes with the position, and the opportunity to learn from such a strong team to build my own professional portfolio.! AH: It’s great being able to form collaborative and interactive relationships with my coworkers and achieve real experience with prominent clients. SK: The amount of experience I’ve gotten at DEVENEY in under a year has definitely been the best so far. I have a pretty fleshed out portfolio at this point and look forward to continuously building on it. What’s your favorite NOLA summer activity? PB: Getting snowballs, fishing and beating the heat by exploring the many bars & restaurants in the city. JG: Exploring the city during the day, getting snowballs and Free Fridays at Tipitina’s! AH: Hitting all the rooftop pools and bars. Also, going to the Fly [waterfront portion of Audubon Park] and shopping on Magazine Street. SK: Probably getting daqs [daiquiris] with friends and going to the Fly! Okay, last question: What’s your go-to NOLA meal? PB: It’s probably a po-boy from Parkway, but don’t sleep on New Orleans pizza. Mid-City Pizza and Pizza Delicious are top-notch. JG: Anything from Milkbar (they have the best sandwiches and milkshakes). Or, during the spring/summer, there’s nothing better than a good crawfish boil. AH: Sushi from Mikimoto, Bacos from Ba Chi Canteen, or any type of gumbo! SK: DAT DOG! Or a District Donut – their flavors change every day. 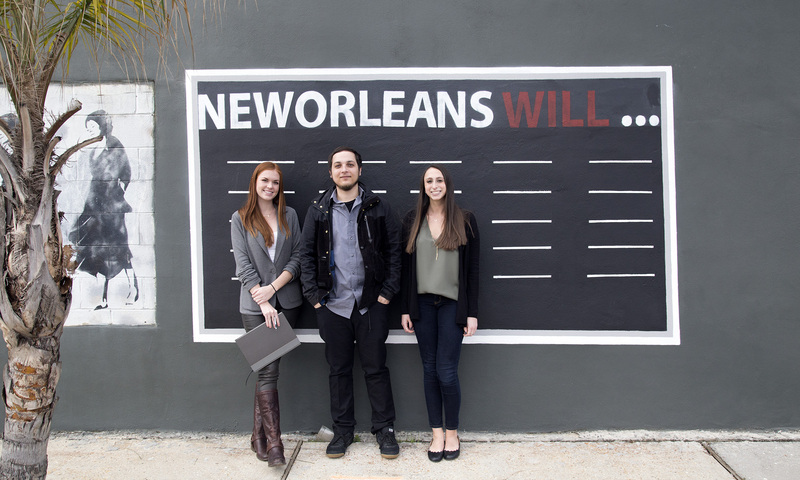 No matter where they come from or what division they work in, all of our Associates are united by one thing: they love their work, and they love New Orleans! Make this your #SummerofDEV and apply to the DEVENEY Associate or Summer Scholar Program by March 3rd! The Associate Program at DEVENEY offers real opportunities, real clients and real experience in public relations, digital and creative. Associates collaborate with each other as well as DEVENEY’s full-time employees to gain skills to kickstart a career. The PR, Digital and Creative Associates will dive into a variety of projects and contribute the freshest perspectives from day one. Read more about the Associate and Summer Scholar Programs at www.deveney.com/careers and check out our Twitter for a social media contest opportunity. To apply to either program, email a resume, cover letter, and writing sample to associateprogram@deveney.com.